In a world where you can find virtually anything on the internet, there are endless “Do It Yourself”-commonly referred to as DIY-solutions for pretty much everything. This holds true for home security systems. However, that doesn’t mean you should rush to your computer/mobile device and buy a 4 star rated surveillance camera off Amazon, and start poking holes in your walls. As with anything on the internet, you end up wading through a sea of options, resources, and opinions; you might start to feel like you’re drowning in information. Don’t worry you’re not alone. You’ll likely have a ton of questions like how do you know if you’re making the right choice? Are the reviews accurate, or paid for by a company? Am I getting the best deal? How do I know one product will be compatible with another? Is this an honest company? The list goes on and on. At Perfect Connections, Inc. we’d like to help you avoid the drowning in information effect. Our team has been providing residential security systems solutions to Northern and Central New Jersey since 1992. While we believe our customers are capable individuals, we also believe in providing a customized, comprehensive, and clear cut solution to your home security needs that you can’t get through purchasing products piecemeal on the internet. You know that old adage, “you get what you pay for”? It’s true, and in some cases you end up getting less. You can’t expect a few $50 cameras you bought online, and a monitoring app on your phone, to fully safeguard your home and family. Surveillance cameras and mobile monitoring are only a couple components in an effective home security system. Think about the other issues you need to be cognizant of like access control, fire and carbon monoxide detection, burglar alarms, and alarm monitoring. What good is an alarm if the local authorities aren’t contacted when it goes off? Our team of professionals are informed and informative on the products we install, and they understand the importance of a solution tailored specifically to your home. If you’ve never had experience installing or operating security systems equipment, doesn’t it make sense that you’d want an industry expert to do it? Hiring a professional alleviates the pressure on you, wasting less of your precious time and money. An expert will be able to assess potential weak spots in and around your home that you might not pick up on. The sophistication of your home security system is dependent on professional products and how they are installed. There are so many pros of having a security company customize and install an alarm system for your home. For one, they know how and which products will work together, everything from the cameras to the central control panel. They can hook you up with an alarm monitoring service. Having a 24/7 monitoring service as part of your system automatically contacts the authorities in case of emergency. According to Erin Raub for SafeSoundFamily, “This does not happen with a DIY system, which notifies you (and others you put on the notification list), making it your responsibility to decide on the next course of action.” It’s chaotic enough in the event of an emergency, you don’t want to have to figure out who to contact, or struggle to find your phone. The convenience of having a fire, burglar, and carbon monoxide alarm/detector that communicates directly with a monitoring service is priceless; it provides a quicker response time which could ultimately save lives and property. Think about the future of your home when it comes to security systems. If you plan on ever putting your house back on the market, having a customized professionally installed security system can actually increase the value of your home. Like Anne Reagan points out, “…every prospective homeowner wants to live in a safe and secure home.” That being said, potential buyers aren’t going to want a house with system they have to remove or update themselves, especially if it’s installed improperly or in adequately. People might think a DIY security system is cheaper because you’re not paying for labor, but in reality you could end up paying more. If your system fails or becomes completely defunct, it is up to you to replace it out of pocket. With a professional service you would likely be covered for certain damages and/or malfunctioning equipment under your service contract. Adding parts or features to your DIY system after the fact will add up, whereas an initial assessment from a professional will provide a more complete result from the get-go. Any required maintenance, repairs, and updates are your responsibility which will further drain your wallet. Before jumping online and buying a bunch of equipment, or punching holes in your walls, check out a professional service for your home security needs. They can guide you through the process from initial assessment to final installation. If you reside in Northern or Central New Jersey find out what Perfect Connections, Inc. can do for you. Our team understands the value in a comprehensive home security system catered to your specific needs. If you live in Central or Northern New Jersey and would like information on any of the topics discussed above, please call 800-369-3962 or simply CLICK HERE. Installing a security sy stem can be one of the best ways to protect your business from unpredictable threats like fires and burglars. Did you know that not all systems are the same? That’s right there really isn’t a “one size fits all” solution when it comes to securing your workplace, nor should there be. Why? Because no two businesses are exactly the same. Therefore, doesn’t it make sense that a security system should be custom and tailored to a facility’s individual needs? A healthcare facility wouldn’t have all the same security needs as a retail store, right? Right. So how do you go about finding the right system for your business? Your best option is to hire a licensed professional in the security system field who has extensive knowledge and experience. At Perfect Connections, Inc. our team has been customizing security system solutions for businesses throughout northern and central New Jersey for over 25 years. 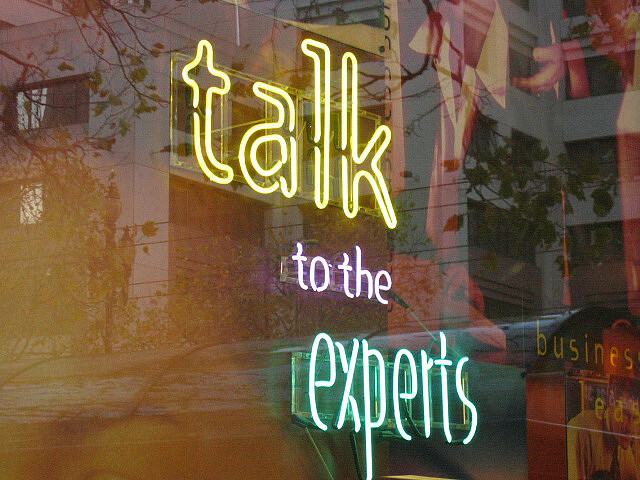 We understand your business is unique and requires personal attention versus a one-stop solution. As every home is different and each family has different security needs, the same is true for every business. There are many factors that go into creating the right system for your facility. For example the location and demographics, local fire codes and regulations, facility size and type, building/facility access, number of employees, local restrictions, and more. A business in the middle of a city is going to need a different security system than one located in an industrial park in the suburbs. This is why it is vital to have a security systems expert do an in person assessment of your facility’s needs before pricing becomes part of the equation. Don’t fall for the security system company that says they can give you a quote without ever having stepped foot in your facility. What are the main ingredients for a security system? At Perfect Connections, Inc. it is our belief that any comprehensive security system includes fire alarms, burglar alarms, access control, surveillance, a monitoring service, and carbon monoxide and smoke detectors. There are variations on how some of these components are installed and what products are used. 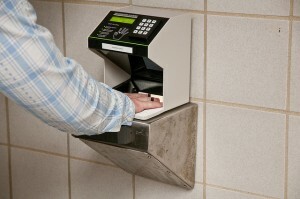 For example there are many different forms of access control. Access control can be anything from biometrics-which typically analyzes physical human traits like a fingerprint-to smart card readers that require a swipe or tap of a programmed card or fob. Again, the type of access control that would suit your business best, really depends on what your specific needs are. Maybe you run a healthcare facility where only certain employees are allowed to access medication supply rooms. Maybe the best solution in that situation is issuing swipe cards to those specific individuals, or maybe a coded lock would work better. These are the types of things you want to discuss with your security systems expert. 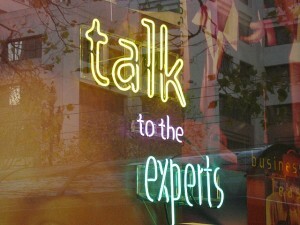 They will be able to advise you on what system would work best. Monitoring your alarm system can be varied as well. While it’s pretty standard to sign a contract with a monitoring service, there is the option to self-monitor as well. Self-monitoring works by allowing you to access your security system via a smartphone or mobile device. This type of monitoring could be set up to alert you directly if there is any activity detected at your facility. The disadvantage to a solely self-monitored system is a slower reaction time and having to constantly be vigilant. Imagine you don’t have your phone on you and an alarm is triggered at your facility, who’s going to contact the local authorities? Fortunately, with a monitoring service you don’t have to worry about reaction time because someone is constantly keeping watch. Even if you opt for a monitoring service often times you can still have the ability to self-monitor at your convenience. The combination of both gives you the advantage of not having to worry about checking in constantly and the convenience of doing so when you need/want it. Surveillance is a key component to protecting any business. How surveillance equipment is set up will vary business to business. Some facilities may require more or less coverage than others. Some businesses may be at a higher risk for crime or theft than others as well. For example Plato’s Closet in Des Moines, IA is susceptible to shrinkage due to clothing, shoe, and accessory theft. This particular location of Plato’s Closet had a shrink rate of a little over 1 percent, but after they installed 19 IP (Internet Protocol) cameras that rate fell to .8 percent. The quantity, type, and location of surveillance cameras will depend on an individual business’s needs. Whether you run a recycling, retail, or healthcare facility, protecting your business is a top priority that shouldn’t be left to just anyone. You need a licensed security systems expert who will assess the risks associated with your business and customize an appropriate solution. Our team of licensed professionals at Perfect Connections, Inc. understands you’ve worked hard for what you have and we want to help you keep it secure. We have been providing customized security system solutions to businesses throughout northern and central New Jersey since 1992 helping you connect and protect what matters most. If you live or run a business in Central or Northern New Jersey and would like information on any of the topics discussed above, please call 800-369-3962 or simply CLICK HERE. If you have a security system you might already understand the consequences of a false alarm. It is not something to be taken lightly and can have serious implications. False alarms can happen for any number of reasons and it’s important to understand why and how best to avoid them. No security system is perfect, and false alarms are bound to happen, but as end users and integrators it is our duty to try to minimize them. At Perfect Connections, Inc. our licensed integrators have been providing comprehensive security system solutions to businesses throughout northern and central New Jersey since 1992. They are knowledgeable about the products they install and can provide useful information on system function and upkeep to help avoid any mishaps. As technology progresses and advancements in security manufacturing lead to better products it’s likely the instance of a false alarm or dispatch will be lessened. According to Ron Walters, director with the Security Industry Alarm Coalition (SIAC), prior to the 90’s false alarms were typically attributed to faulty security products. Since then manufacturers have been and continue to produce quality products, however that doesn’t guarantee proper application and use. Accurate installation and usage lies the hands of the security integrator and the end user. That is why it is critical to hire a licensed security expert for system installation and user specifications. It is also important that the end user has an understanding of what is expected of them in order to avoid false dispatches. Unfortunately, approximately 15% of false alarms are considered to be caused by user error. In a world where there are an estimated 35-36 million alarms in use, according to Stan Martin who is the executive director of the SIAC, false alarms are an unavoidable evil. False alarms and dispatches are an annoyance for end users, but their ramifications don’t end there. They take valuable time and resources away from emergency responders that might otherwise be needed at an actual crisis. If you have too many false alarms it can create a “boy cried wolf” situation where authorities might be more hesitant to respond. On top of all that you could end up paying substantial fines for repeat offenses. Recurring false alarms that go unchecked can create tension between local authorities, end users, and security integrators. But negative impacts aside, the SIAC reports that 90% of law enforcement still consider alarm industry professionals valuable allies. Sometimes it’s difficult to pinpoint the cause of a false alarm as it could have been a situation where an intruder was attempting a break-in and escaped before authorities arrived making it appear like a false alarm. This is where video surveillance, alarm monitoring, and remote system access come in handy. Being able to tap into your facility’s surveillance system and visually verify whether or not an intruder is or was present, is a critical time and resources saver. With remote access via an app on your smartphone or mobile device you can do just that. The beauty of remote access is you don’t have to physically be on site to see what is going on at your facility. Having a monitoring service will also help determine whether or not there is an actual emergency and whether or not authorities should be dispatched. An added benefit to having video surveillance is even if the perpetrator escapes before authorities arrive, the recorded footage can be used to aid an investigation and hopefully identify the intruder. Aside from having proper security equipment installed there are some helpful tips for end users to keep in mind that will help avoid pesky false alarms. One, always know your alarm code and be sure all windows and doors are secured before arming your system. Two, be sure you get your system tested regularly, it’s typical to have an annual inspection but some situations might require quarterly or more frequent tests. Be sure critical sensors and smoke detectors are adequately covered during any construction or building modification to avoid disruptions caused by debris. Lastly, always consult a licensed security system provider with any maintenance or care questions. 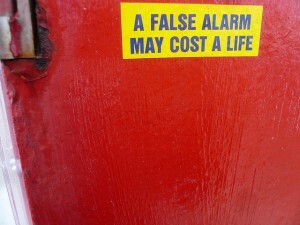 While false alarms aren’t completely avoidable, you can lessen the chances of them happening to you. Hiring a licensed security system integrator who is knowledgeable and has extensive installation experience is key. Installing a comprehensive security system that includes video surveillance, fire and burglar alarms, access control, and a monitoring service will provide complete coverage and reduce the risk of false dispatches and alarms. At Perfect Connections, Inc. our licensed professionals have been providing comprehensive security systems to businesses throughout northern and central New Jersey for over 25 years. Our technicians have the experience and expertise to install security devices and can help educate you on proper usage. Install An Alarm System With Remote Alerts – By installing one of these systems, parents are able to see when children arrive home. Including a surveillance camera can also let them see who is with them, and what they’re up to while they’re home alone. Teach Kids To Use Alarm – Its very important to make sure everyone in your family knows how to work your alarm system. Assigning each person an individual PIN number allows you to keep track of each person’s comings and goings, and a quick run through of the alarm system functions can help avoid false alarms. Help Kids Memorize Emergency Numbers – Even with the ubiquity of cell phones nowadays, its important to make sure everyone in the family knows their emergency contact’s phone numbers by heart. Phones break and batteries die – this can definitely help avoid stressful situations. Make An Emergency Plan – We all hope the worst never happens, but one of the best ways to prepare is to get an emergency plan together. Sit down with your family and decide on a safe place to meet outside of your house in case of fire, away from the house. Make sure everyone knows the quickest way to the outside from each room. Lost Keys – Who hasn’t at some point in their lives misplaced their keys? With a keyless/smart entry system, you don’t need to worry about this. But many people still keep a spare physical key outside, under the doormat. That is one of the first places burglars look. There are many other options that can help protect you more – keeping a key with a trusted neighbor, or in a fake rock are a few example. Is Your Business Code Compliant? Would Your System Protect You During A Power Outage? Where Is Your Footage Stored?